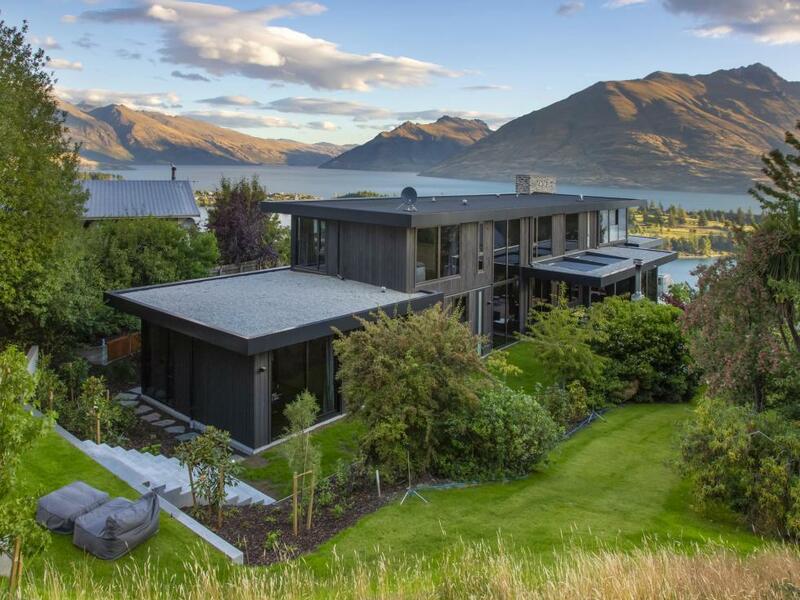 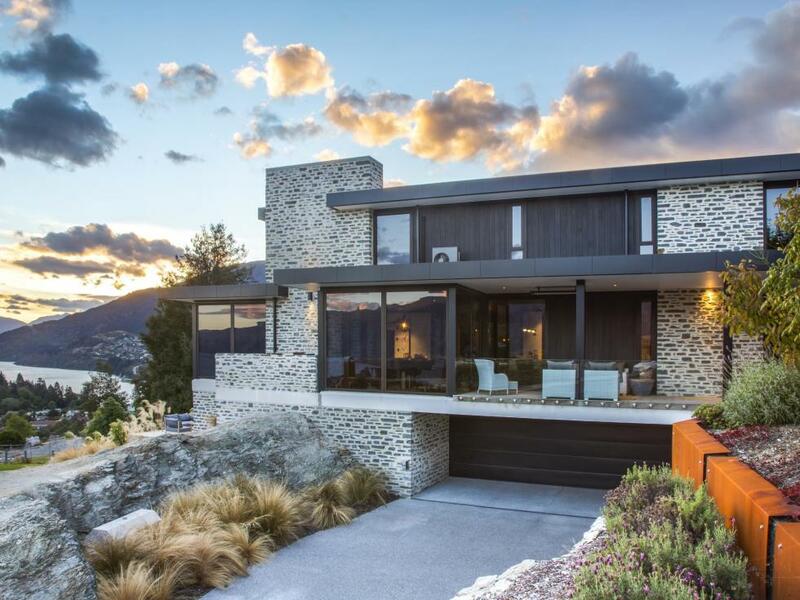 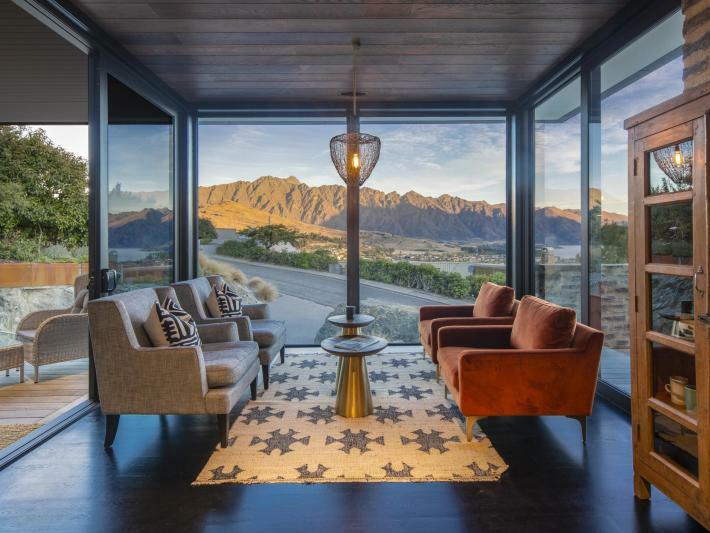 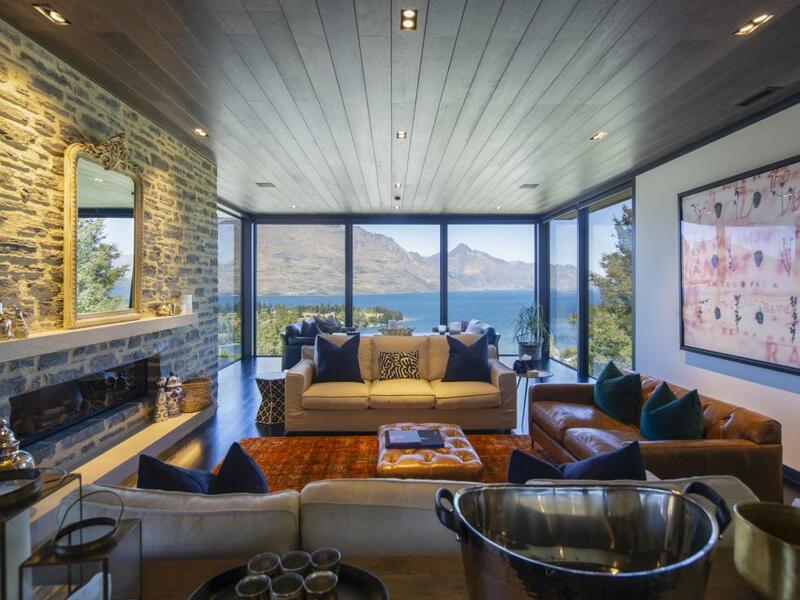 Sitting majestically on Queenstown Hill, this exquisite luxury home is undoubtedly one of the finest properties in central Queenstown. 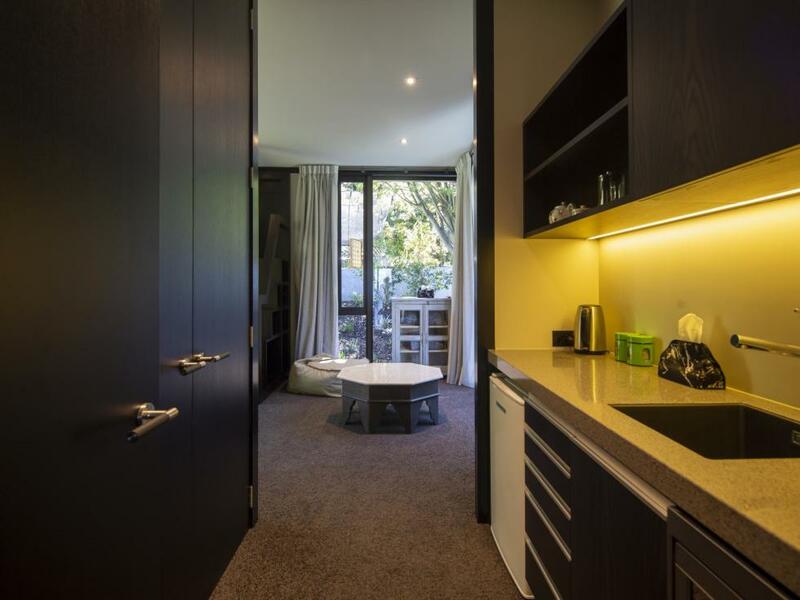 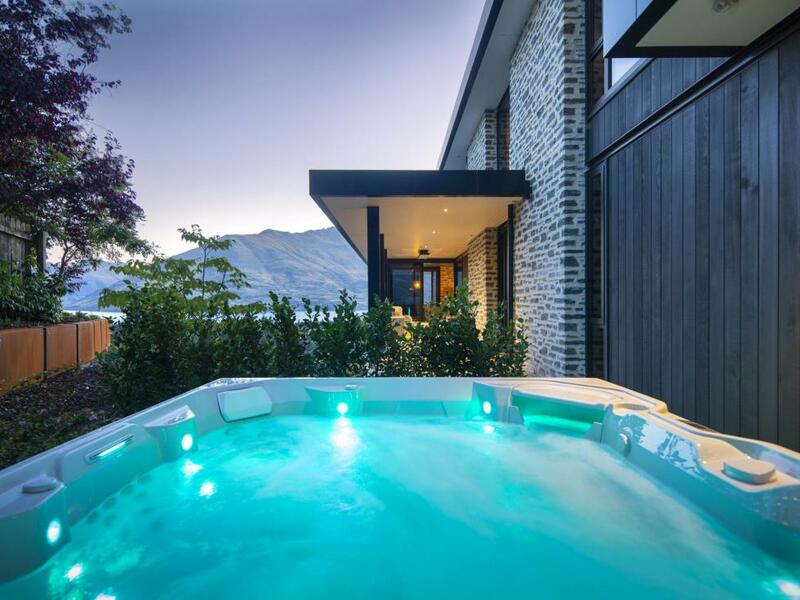 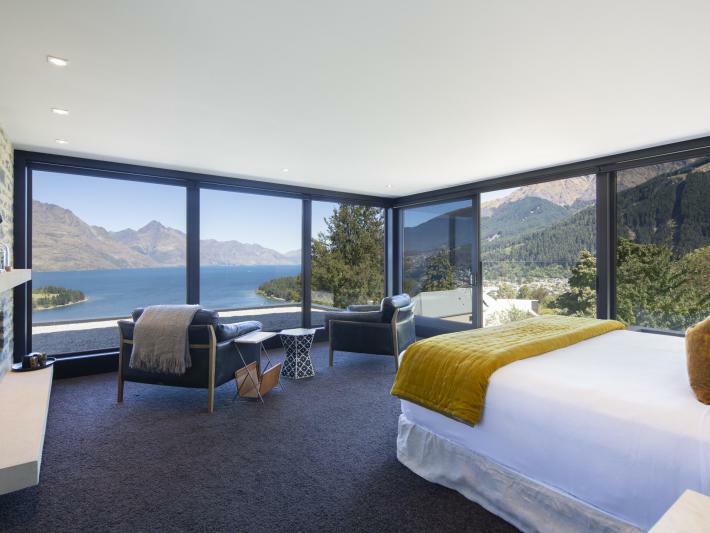 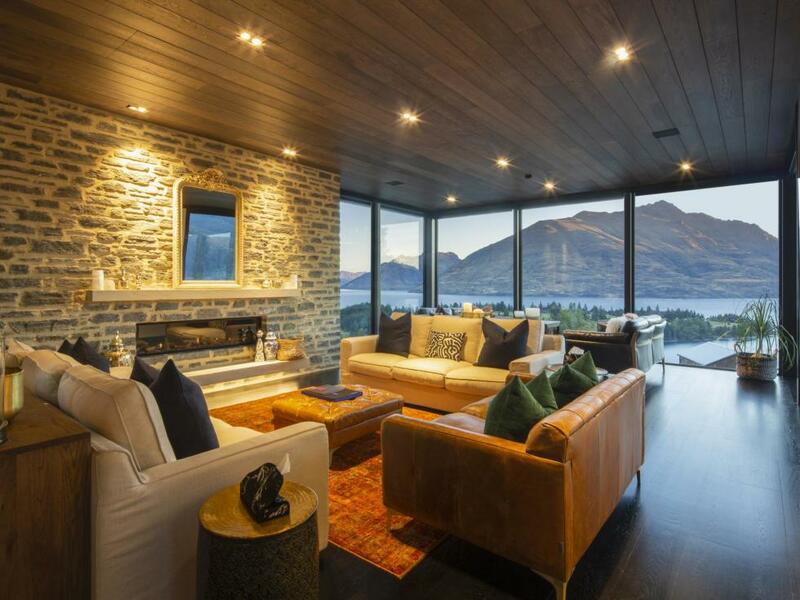 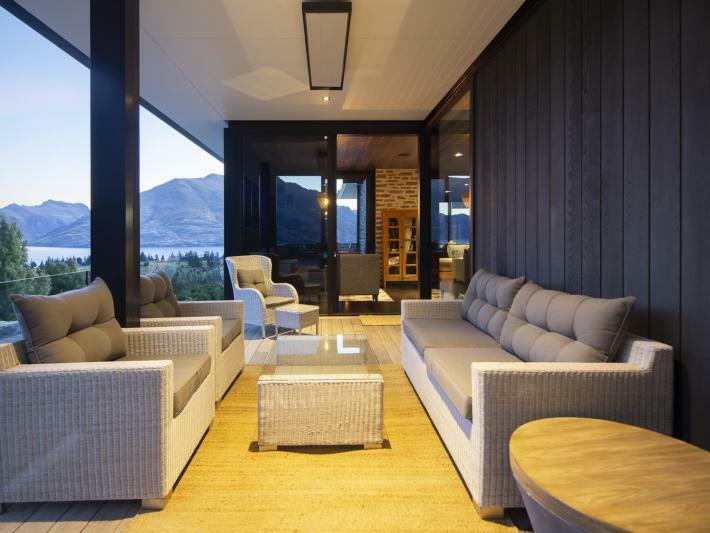 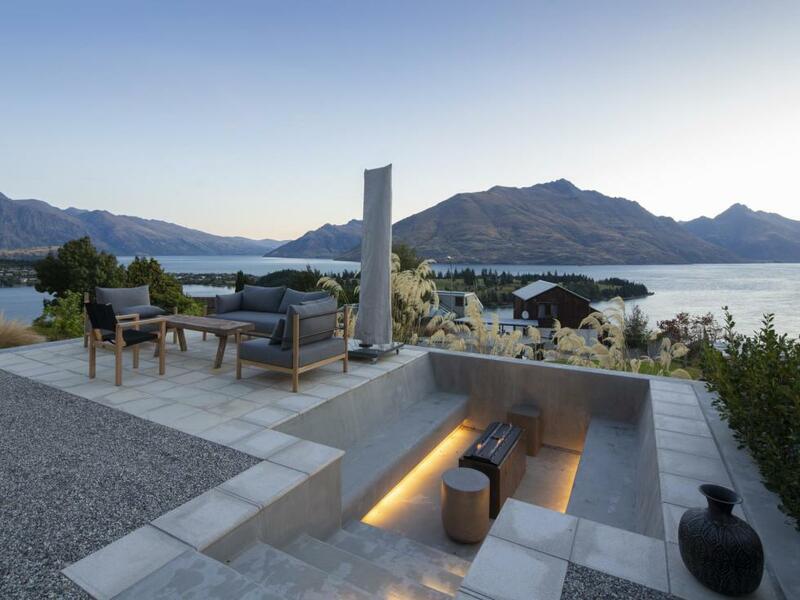 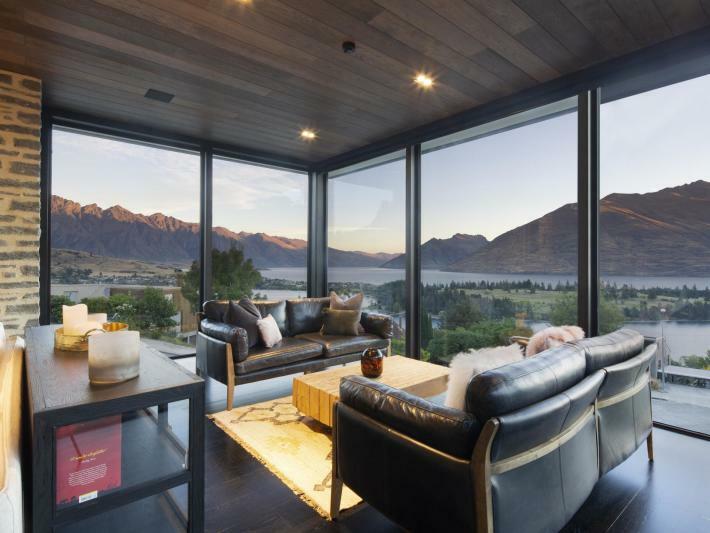 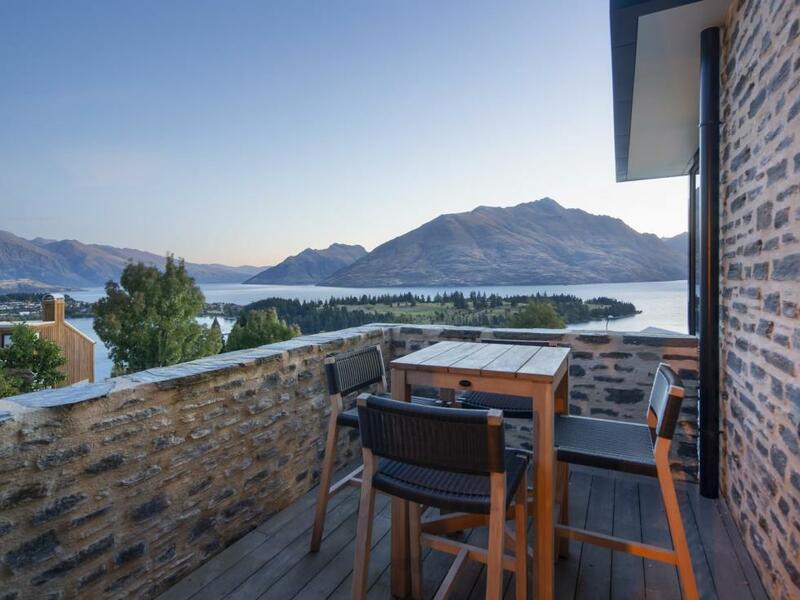 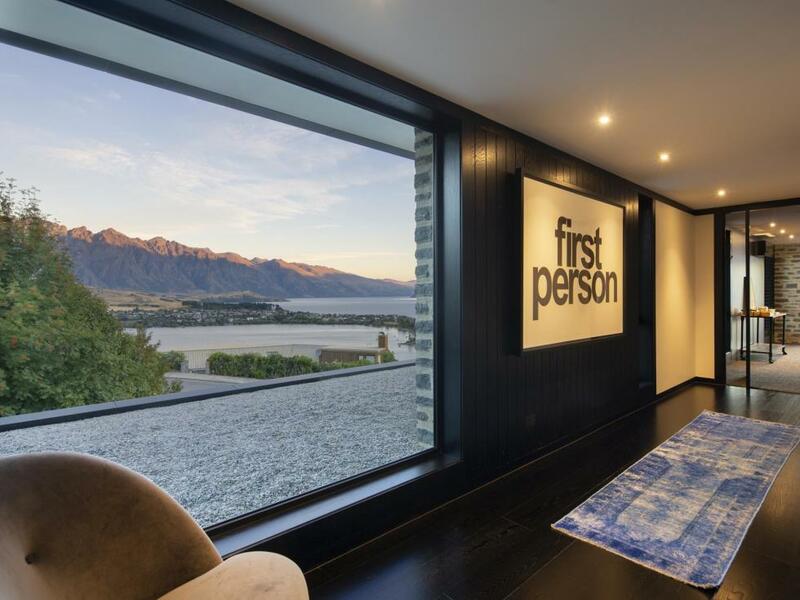 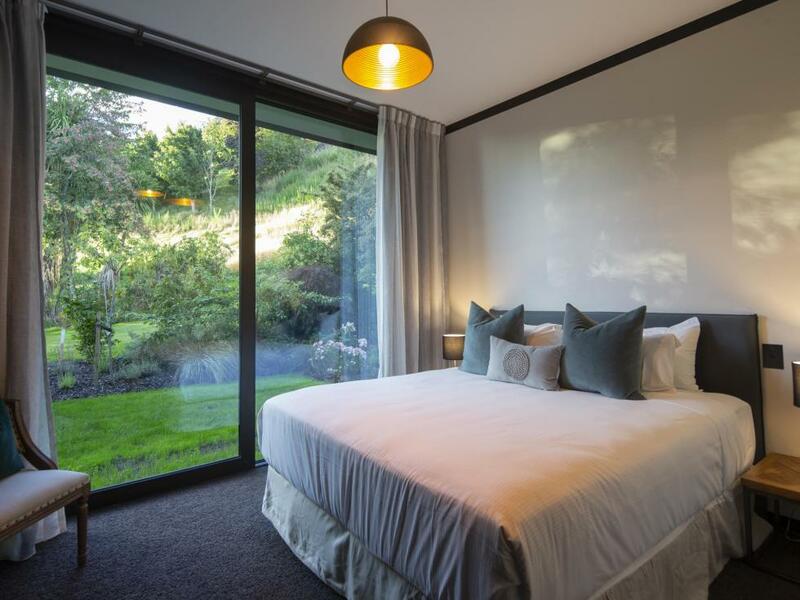 From its elevated position the property boasts spectacular views over Queenstown, Lake Wakatipu and The Remarkables mountain range. 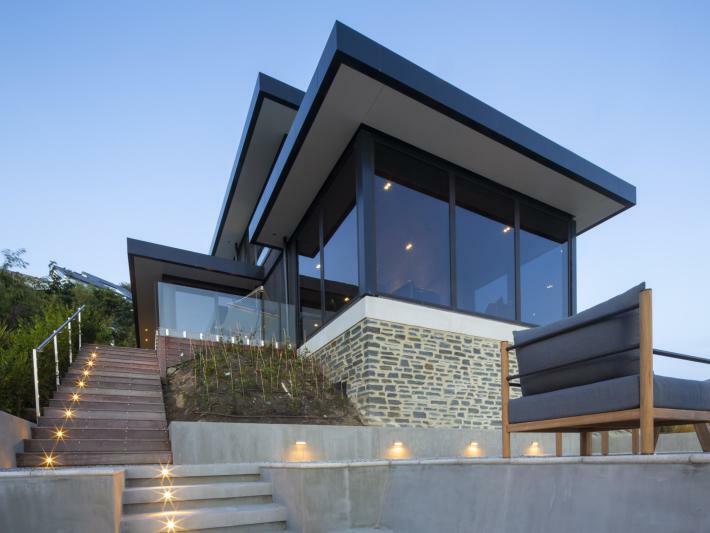 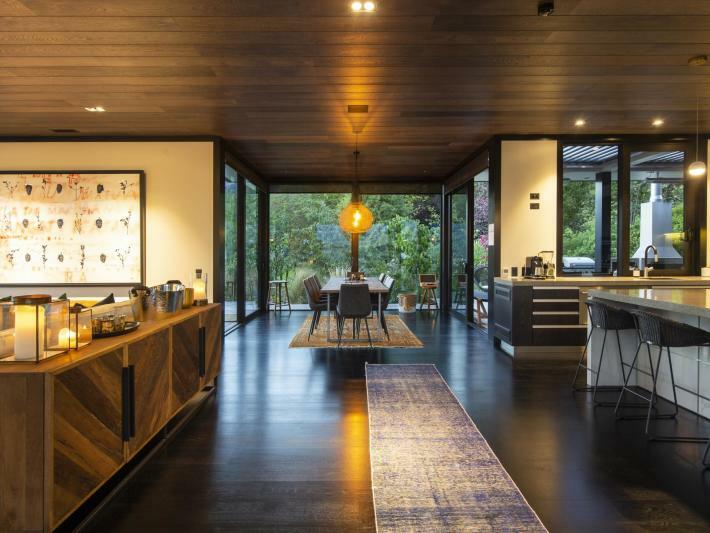 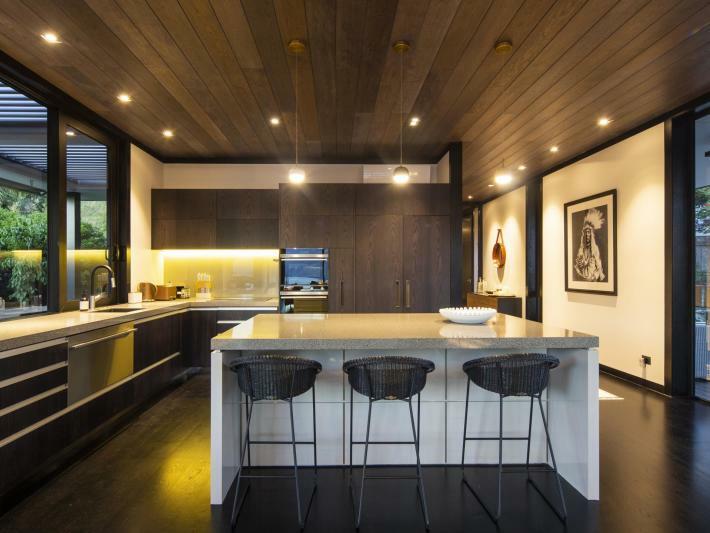 Designed by leading architects Mason & Wales, the home has been completed to the highest standard. 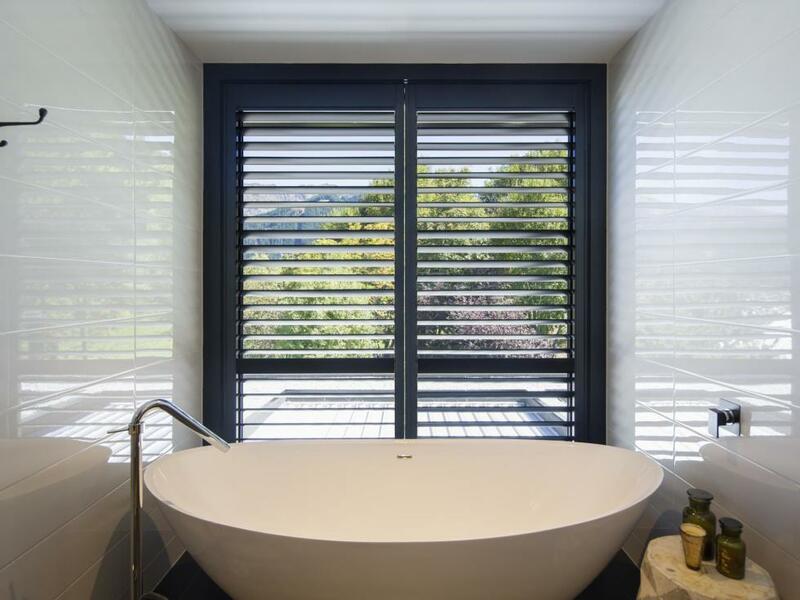 It has been lovingly styled with a stunning interior plus designer bespoke pieces sourced from around the globe radiating Parisian luxury. 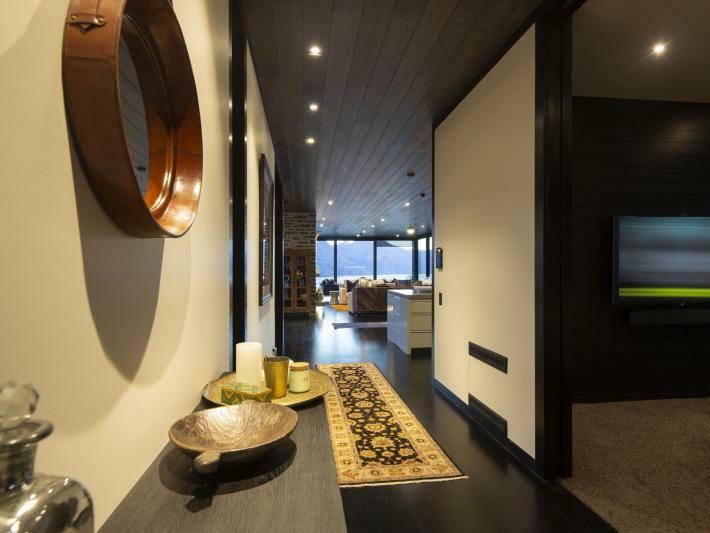 The open plan living area is spacious and offers guests a variety of living areas to relax and unwind in. Our favourite nook is the sofa area in the sun drenched windows where you can picture yourself reading a magazine or your book whilst taking in the splendour of the lake and mountain views. 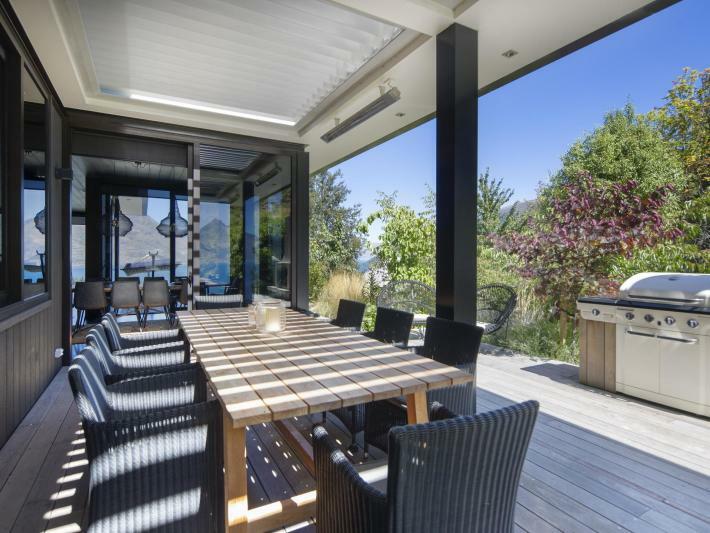 There are also a number of outdoor entertaining areas that you can utilise during your stay providing plenty of space for the entire family. 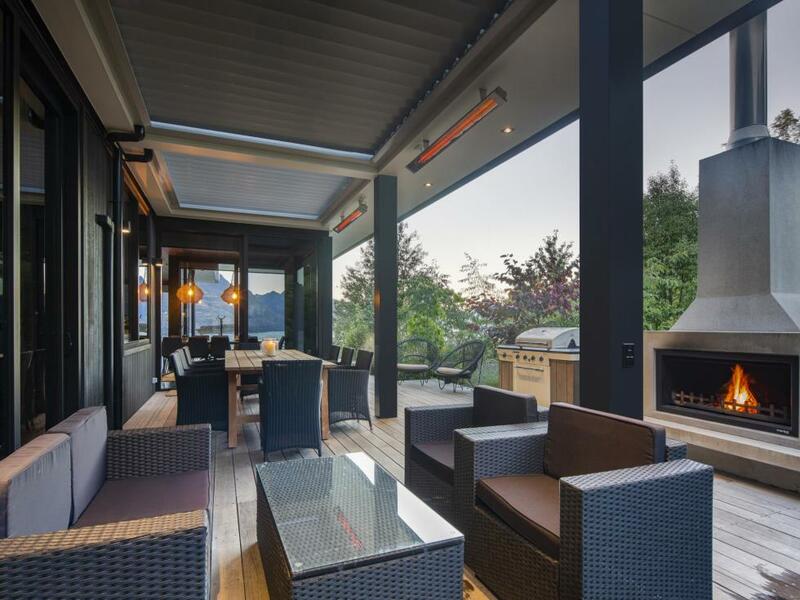 The main outdoor area is perfect for entertaining in the summer with a barbeque, remote-controlled louvres to maximise the sunlight, heat lamps and an outdoor fireplace for those cosy winter evenings. The home offers guests four large bedrooms all with either an ensuite or private bathroom. 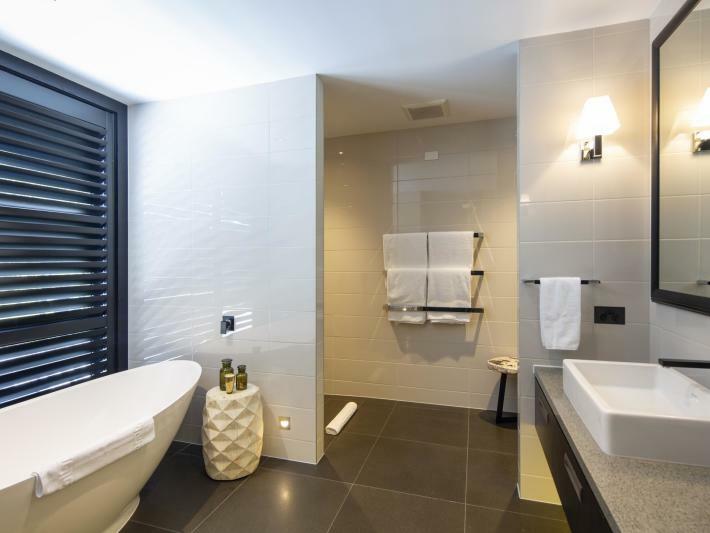 The master bedroom takes centre stage with its position and views and compliments the luxury ensuite bathroom with a bath tub. 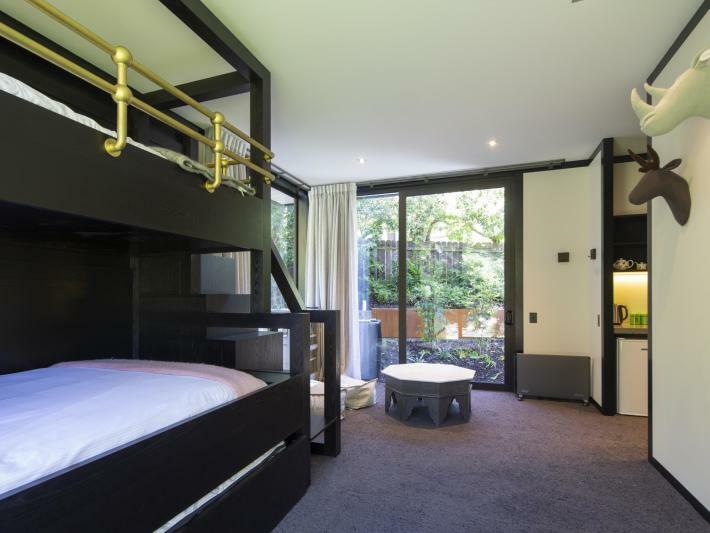 Upstairs there is also a generous second master bedroom and ensuite and down stairs you will find two further bedrooms; a custom built luxurious bunk room that can sleep up to 3 guests perfect for the kids or adults and a further double bedroom with a shared bathroom and guest powder room. 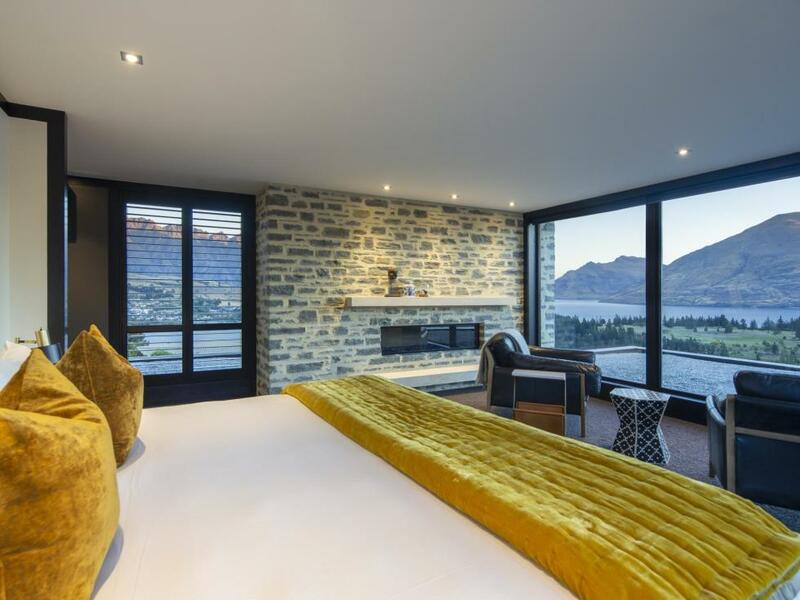 The property has so many features that will ensure your stay at this home provides you with one of the best luxury stays in Queenstown including an internal lift for ease of moving luggage from the basement car park to the upper floors, under floor heating, radiators and heat pumps, a media room and ski storage.